The Gamma-ray Large Area Space Telescope (GLAST) is a space mission slated for launch in 2006 and will study the cosmos as revealed by extremely high energy light in the energy range known as Gamma Rays (10 KeV-300 GeV). 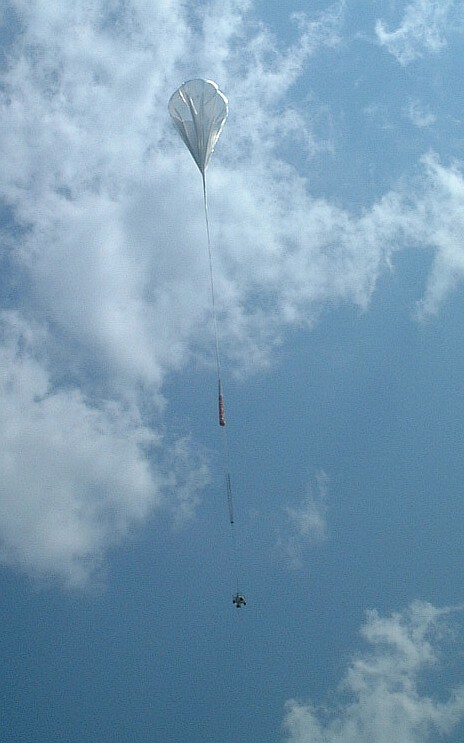 This balloon flight carried a prototype GLAST detection tower (the spacecraft will carry 16 such towers) to test the ability of the instrument to discriminate between gamma rays (extremely high energy light) and cosmic rays (charged particles from space, moving at nearly the speed of light). 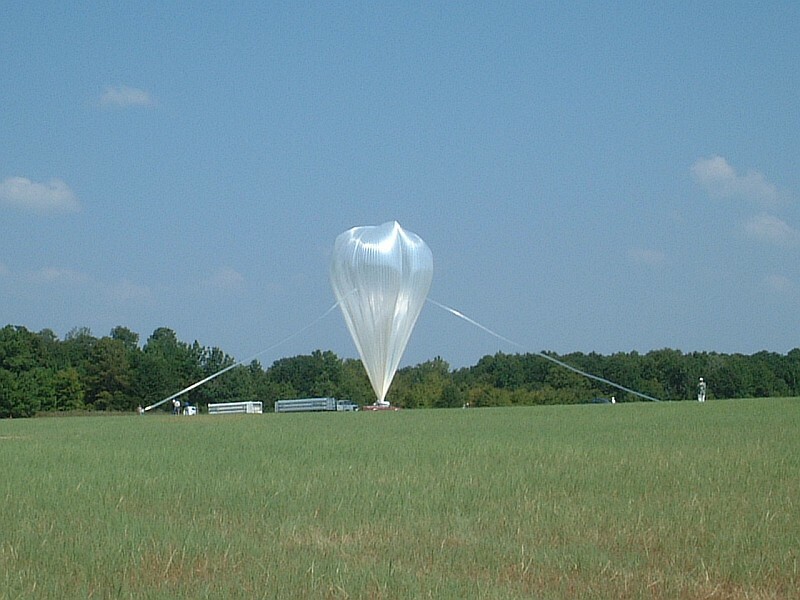 Once floating altitude achieved in the near vacuum of the upper stratosphere, the detectors had their first look at primary cosmic rays from space, alongside the gamma rays they're designed to study. All went well until 1 hr 20 minutes after launch when something ocurred. Apparently a slow leak brought the pressure in the gondola down to that of the near-vacuum outside. The GLAST detector didn't mind -- it's designed to operate in vacuum -- but the onboard hard drives were not. The drives crashed, and from this point on, the mission had to rely on real-time air-to-ground telemetry to record event data. 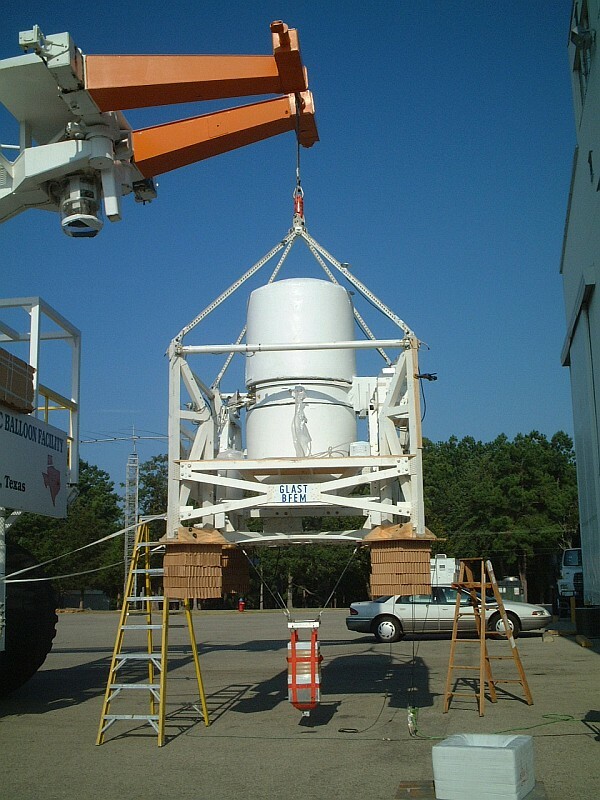 Fotunately, this real-time telemetry data was more than enough to accomplish the mission's primary objectives of analyzing GLAST's response to both cosmic rays and gamma rays. However, the leak was too slow for its quick trip down. 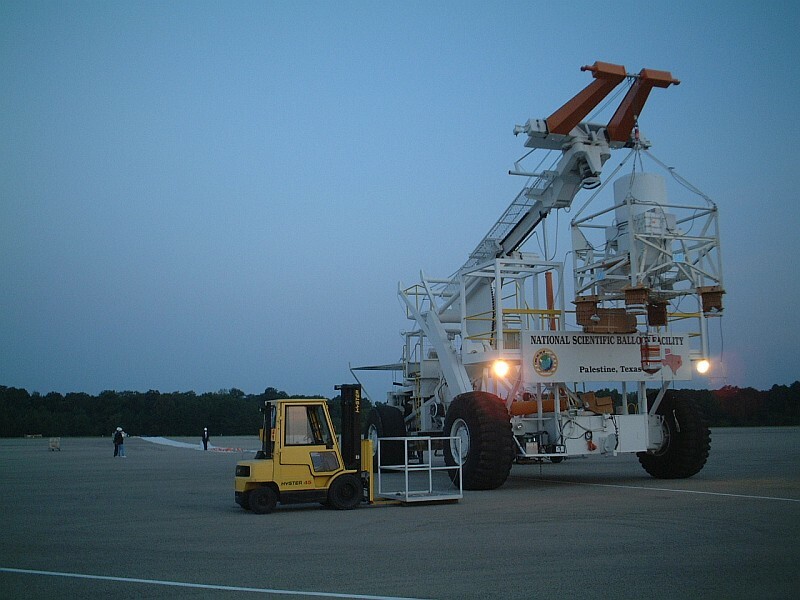 As the gondola approached ground level (and the outside pressure approached one atmosphere) it still contained a near-vacuum inside. The pressure containment shell had been designed to withstand the opposite conditions -- high pressure inside, low pressure outside -- and was crushed by this unexpected reversal. Good thing the mission was already over, and the data safely in the hands of researchers on the ground. 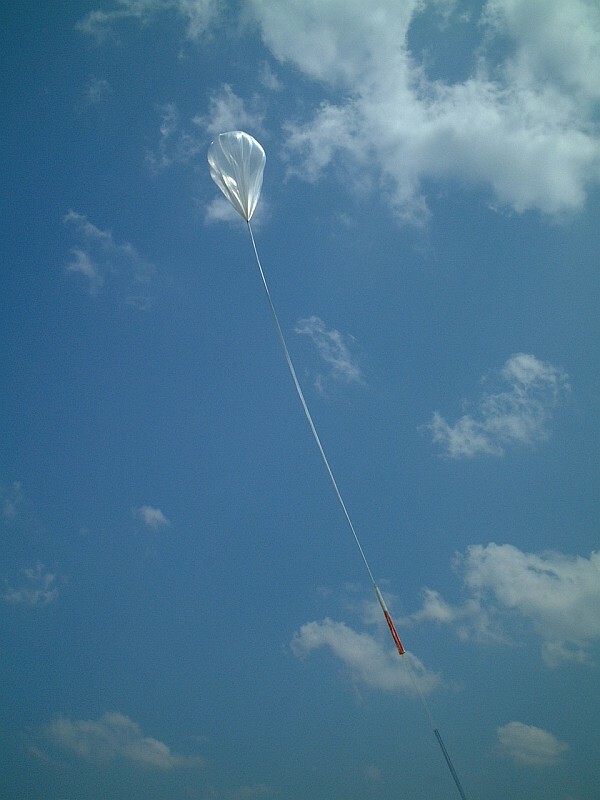 After a nearly perfect launch, by dynamic technique using launch vehicle (Tiny Tim) the balloon ascended smoothly for 2 hr 20 min before achieve floating altitude at 125,000 ft. In a westward drift traveled another 3 hours at a rate of 80 MPH before returning to Earth near San Angelo, Texas.